1. At the point of death. 2. In terminal decline; lacking vitality or vigor. You know your camera is on the verge of dying when half of the lens shutter refuses to close when not in use and the other half needs to be pried open when in use. Not to mention that having a hard time focusing, having no concept of what white balance is regardless of what setting you use, distorting any and all colours, and making all photos appear darker than they really are, are other signs of a dying camera. 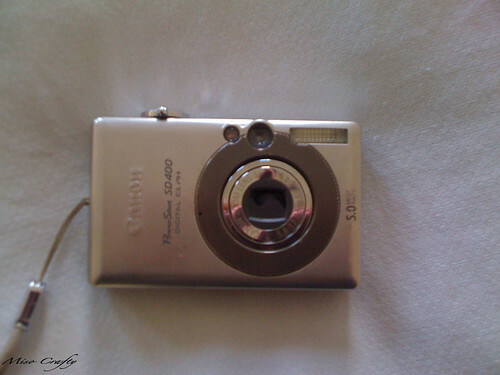 I knew my little PowerShot was getting old (she's 7 years old!) quite a while ago, but was a bit in denial about it since she was still taking some good photos. Then a few months ago I noticed that she couldn't quite keep up any more. Photos were coming out blurry even when she was mounted on a tripod, I could hear her struggling to open whenever I powered her on, and she was having a real hard time remembering that she should be in camera mode not video, even though she was set for the former. As sad as it is to have to retire my little camera fairly soon, I'll always remember what a fabulous workhorse she was and the good times that we had...numerous road trips, several drunken Calgary Stampedes, fashion shows galore, and the birth of my first born. She was also quite a trooper, surviving winter sports activities, sweaty hikes, being thrown around in a handbag during my major party-animal club-hopping days, and being smuggled into concert after concert (although, I had her in plain view at the Spice Girls Reunion concert and no one said a word). She's been covered in snow, been rained on, been drenched in beer, been sat on, been dropped (numerous times! ), been lost, been found, been sanded, and overall just been harshly man-handled. Thank you my dear PowerShot. Thank you for your undying service and for always being there when I needed to remember a moment. I'm sorry that I've been looking for and researching other cameras in front of you, and I'm sorry that the Munchkin likes to steal you from my purse with his grubby little hands. I promise that I'll take you out and use you from time to time so that you don't get rusty, but please understand that there will be a day when I'll stop using you for good. But always remember that you'll always hold a special spot in my heart. My next camera will have a lot to live up to. PS: Sorry for the craptastic photo. It was taken with my iPhone on a very cloudy day! Condolences on the loss of your camera. It's sort of amazing to reflect on how many life events one camera has seen. I'm expecting to go through a similar grieving process soon: I've had an SD 700 for about five years, and although it's been a great little camera, it hasn't recorded dates on my photos since late 2007 after an incident with some beer, a fair touch of clumsiness, and a hard floor. I've been thinking about splurging on a DSLR as a graduation present/business investment when I finish school in May. Go gentle into that good night, little cameras! I swear by Canons - best line of cameras. If you're in the market for a new one, I recommend the Powershot SD1400IS. Affordable and cute, video - it's only enemy is me and how I might lose it because it's so small. Real Simple magazine rated it the best camera overall.